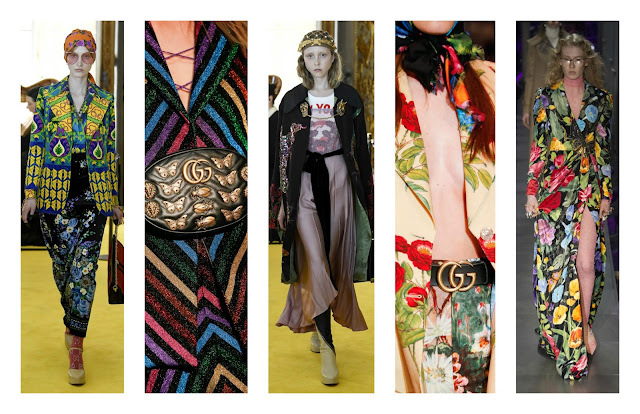 Since Alessandro Michele was appointed Gucci's creative director in early 2015, it's safe to say the fashion world has gone Gucci crazy all over again. 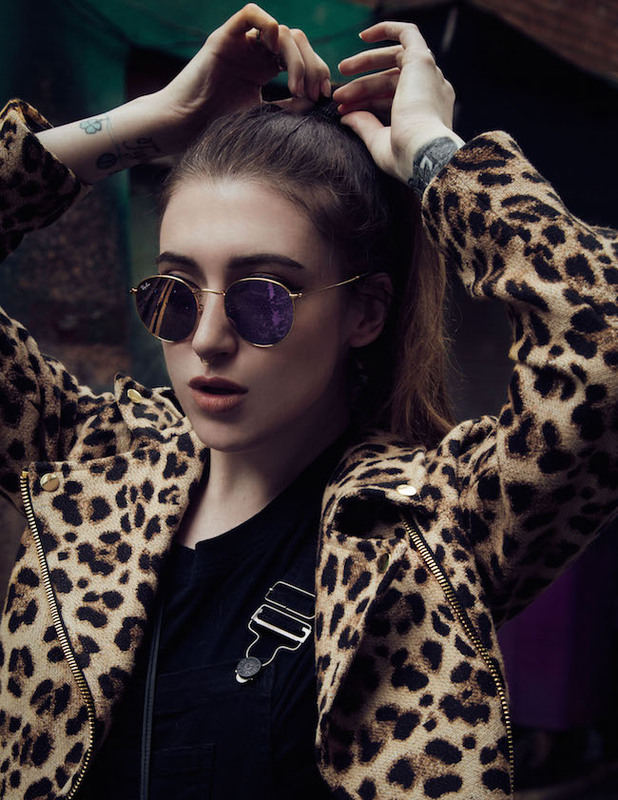 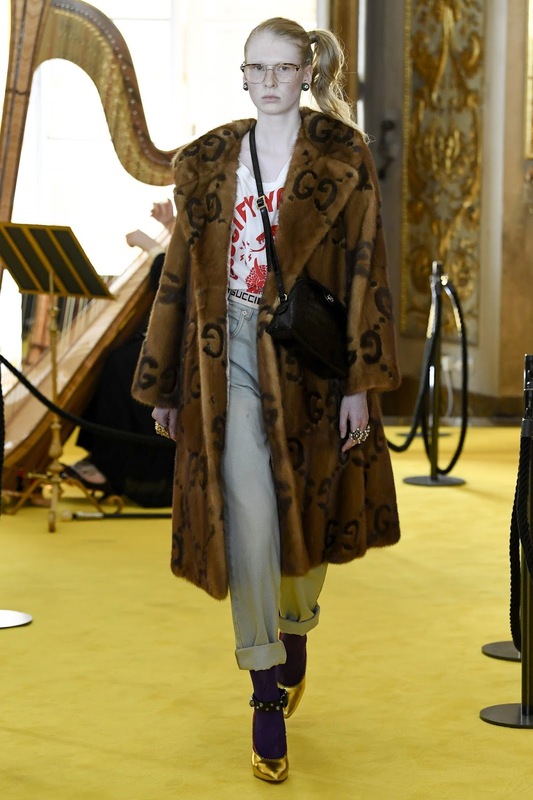 His granny-chic, colourful, eccentric collections and coveted accessories, have made the Italian brand the 'go-to' for the fashion conscious worldwide. 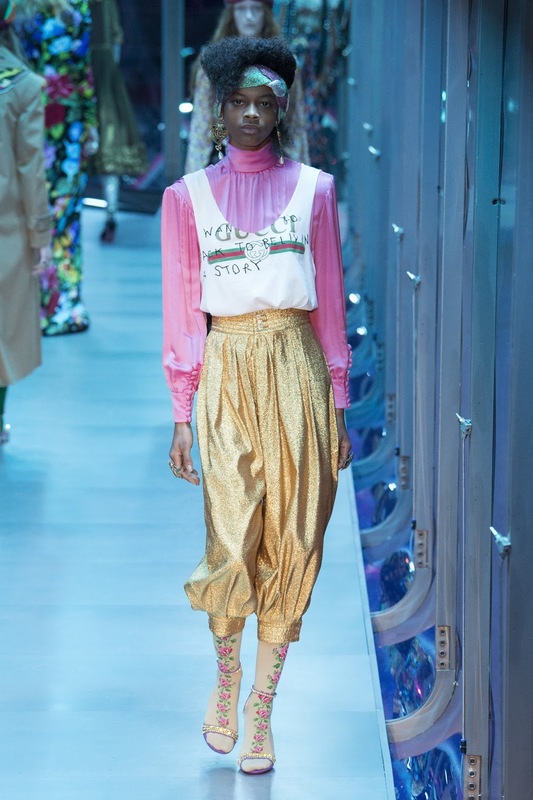 The 'Gucci look' isn't attainable for all, however, but the essence of it is. 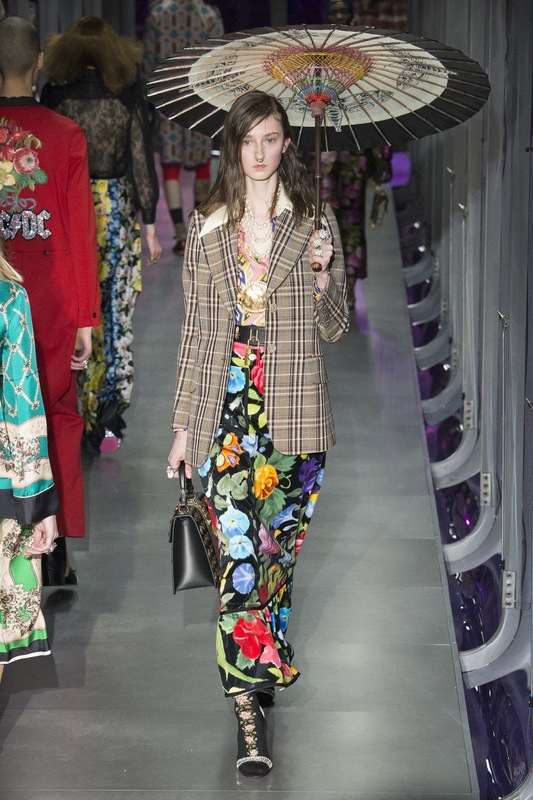 Michele's Gucci is all about clashing colours, erratic prints, unconventional layering and desirable accessories - particularly shoes, logo belts and handbags - that wear well season after season. This shoppable post features some of my favourite looks from the AW17 and Resort 2018 collections; I've selected various high-street pieces that'll give you that Gucci Girl vibe in a heartbeat, without the hefty price tag. 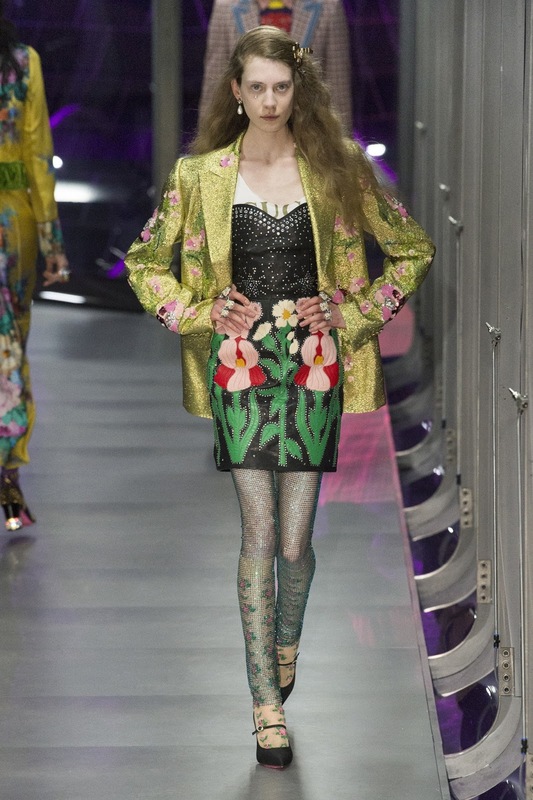 Don't be afraid to clash colours and textures, experiment with layering and see what works best for you.